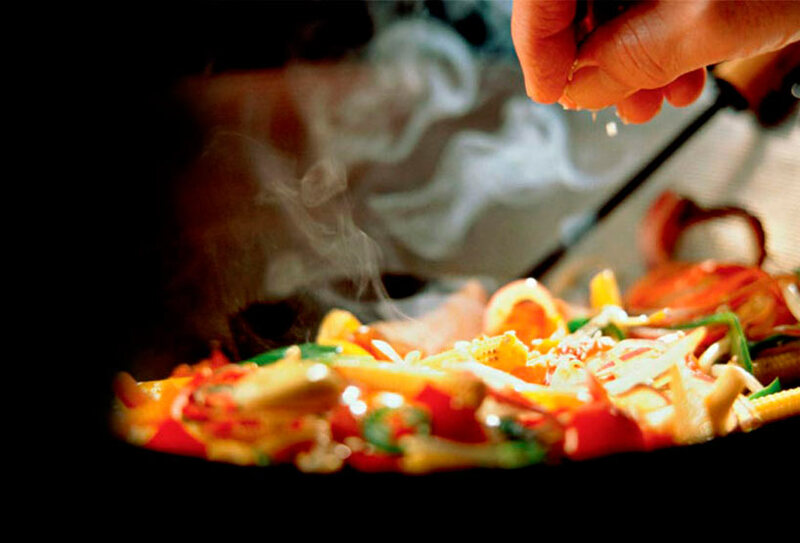 Chinese cuisines are based in the beauty of harmony —The highest aesthetic ideal of Chinese traditional culture—, and are rich in variation: There are over ten cooking methods such as steaming (zhēng), roasting (shāo), sautéing (bào), stir frying (chăo), deep frying (zhá), sautéing with gravy (liū), grilling (pá), and braising (huì). Truly, for many overseas friends in China, eating Chinese food is their first opportunity to understand and appreciate Chinese culture. For many Westerners, the ancient oriental culture is splendid and mysterious. Tasting the ever-evolving Chinese food adds adventurous and challenging experiences to their marvellous trips to China. Often the food is consumed but the ingredients remain unknown since it is difficult to find the exact English equivalents for the names of the Chinese ingredients. The wonderful taste lingering in the mouth is even beyond description. Behind ingredients selection and food preparation is the Chinese people’s understanding of the nature, the relationship between human beings, love and morality as well as the philosophy of the world. Chinese cuisines are rich in variation. One single ingredient can be made into dozens or even hundreds of dishes by an excellent chef. In the cooking process, special attention needs to be paid to heat control. There are over ten cooking methods such as steaming (zhēng), roasting (shāo), sautéing (bào), stir frying (chăo), deep frying (zhá), sautéing with gravy (liū), grilling (pá), and braising (huì). This variety underlies the flexibility of Chinese cuisines. It is incredible that with a few pieces of tofu, one can make a banquet of tofu dishes. 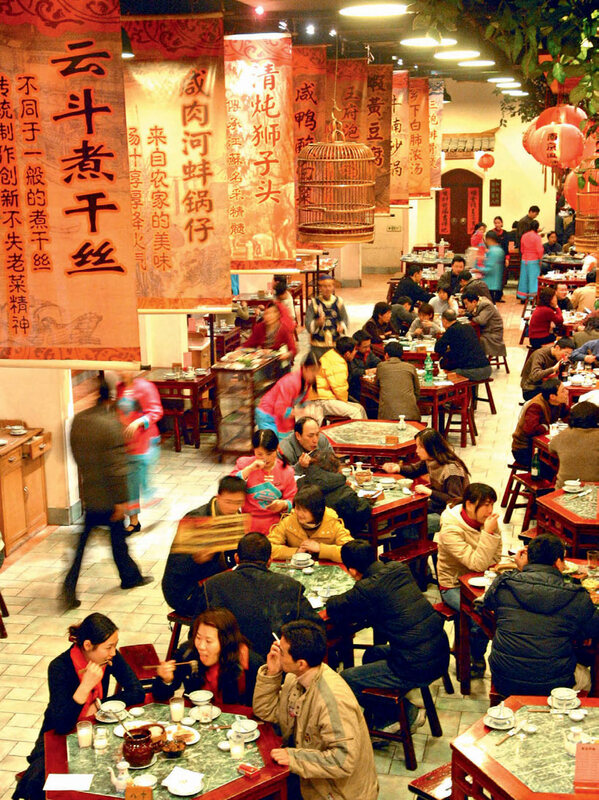 The tradition of tofu banquet can be found in many parts of China. In addition to the common cold dish of tofu mixed with green onion shreds, there are many other tofu dishes like fried golden tofu balls, soup with tofu shredded as thin as hair, soft and tasty preserved tofu, and chewy dried tofu… Prepared with different seasonings and cooked by way of Mapo, Kung Pao or steaming, various flavours can be obtained. With a whole table of dishes with such different flavours, you can enjoy the meal to your heart’s content, but in the end you will find out what you have just eaten is nothing but tofu. You will not only admire the chef for his superb skills, but also feel amazed about the variety and flexibility of Chinese culture. One may not only be amazed by the variety of dishes from a single ingredient in Chinese cuisines, but also by the range of ingredients. 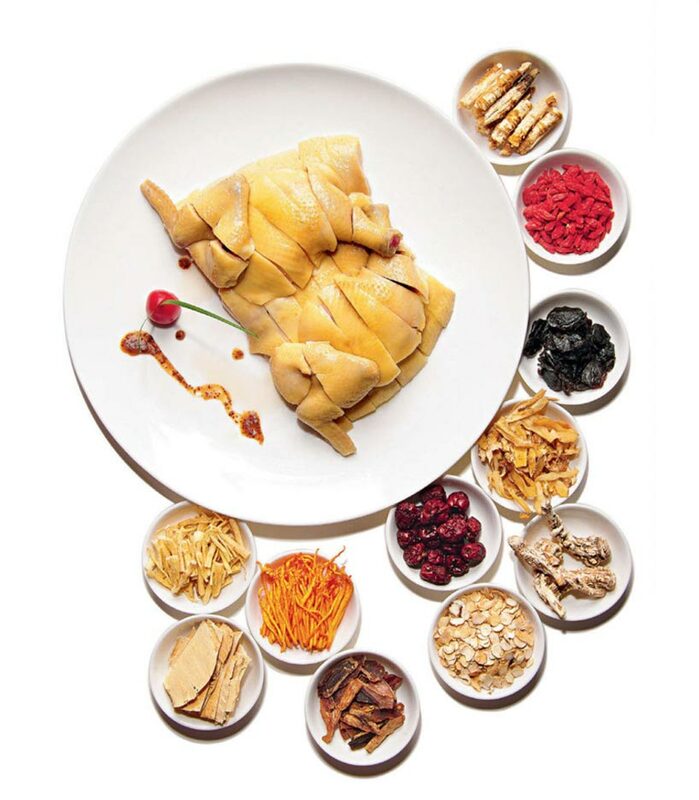 Using their imaginations, Chinese people from different regions have invented different delicacies, drawing on local resources and adapting their cooking methods to local conditions. China’s geographic features and climates can vary significantly from region to region, which has consequently led to the very different styles of cuisines. Generally, styles of Chinese cuisines are roughly classified according to the regions, cooking methods and taste preferences.  The widely accepted cuisines are Sichuan cuisine, Shandong cuisine, Hunan cuisine, Guangdong cuisine, Zhejiang cuisine, Jiangsu cuisine, Fujian cuisine and Anhui cuisine. Simply put, Sichuan cuisine is spicy, Shandong cuisine is light, Jiangsu cuisine tends to be delicate, and Guangdong cuisine puts emphases on the original taste of the food. 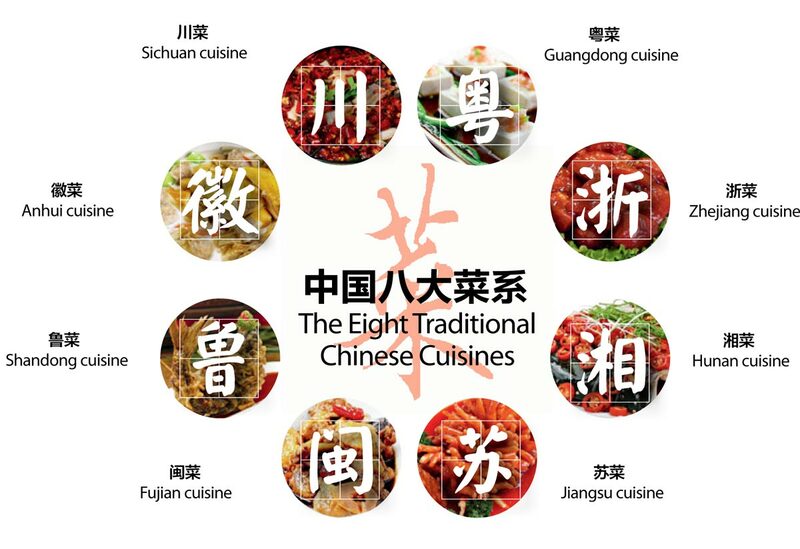 However, to categorize the styles in such a manner is unsatisfactory, as most Chinese people find it difficult to tell the differences or similarities between the eight cuisines. As a matter of fact, even two neighbouring cities may have specialties of their own, which may taste very different from each other. Classifying Chinese cuisines into eight ones has obviously underestimated the range and breadth of Chinese cuisines. As a Chinese saying goes, you are where you were brought up: girls from Hunan are straightforward and hot-tempered; girls in the regions of the south of Yangtze River have bright eyes, white teeth and gentle smiles; young men from Shandong are simple and reliable…This is just like what a western proverb says,“You are what you eat.” Different climates and geography lead to different eating habits, subtly shaping people’s characters, which in turn influences their eating preferences. In Beijing, within convenient walking distance from your home you can easily find a restaurant specialising in Guilin rice noodles, Shaxian snacks, or Chengdu cuisine etc. But food always tastes best in the local place where it is from, so the best way to taste a specialty is to go to the place where it belongs to. With improvements in transportation and better access, it is no longer just a dream to live in one place while eat food from all over the world. However, if you don’t travel thousands of miles to taste a specialty, you will find the food tends to lose some mystery. In Beijing, within convenient walking distance from your home you can easily find a restaurant specialising in Guilin rice noodles, Shaxian snacks, or Chengdu cuisine etc. But food always tastes best in the local place where it is from, so the best way to taste a specialty is to go to the place where it belongs to. The taste of the food may change slightly in difference places even if the same chef uses the same ingredients. People who understand cooking may say that this is because the air and water influence the flavour of the food. If you are a gourmet, you should take a map and travel around China. When you enjoy the local delicacies in its fine local settings, you can really appreciate the food to the fullest extent. The dishes are not only delicious, but also satisfy the human body’s needs in different seasons. Different from the western perception of “fresh being raw” and habit of “cooking and eating separately”, it is difficult to describe the tastes of individual elements of Chinese dishes. Take Fried Sweet and Sour Tenderloin, a popular dish among Westerners, for example, it tastes sweet and sour, and it is difficult to tell which flavour is stronger. 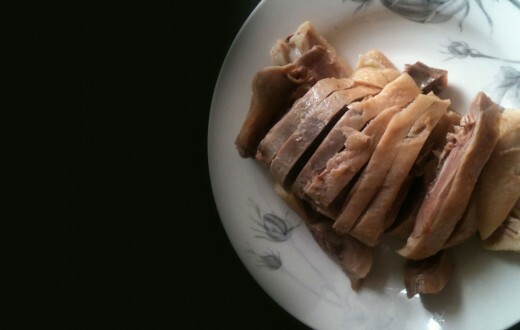 The five flavours, namely, sour, sweet, bitter, hot and salty, are all at the disposal of Chinese chefs and can be combined in many different ways, without any flavour standing out, otherwise the dish will be regarded as a failure. The beauty of harmony is the principle of Chinese cuisines. 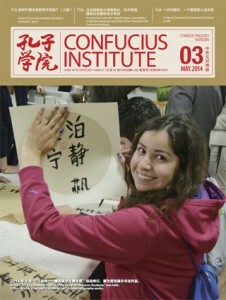 It is also the highest aesthetic ideal of Chinese traditional culture. In the chapter of “Yue Ming (On Life)” from the Chinese archaic classic Shang Shu, there is a line saying if you want to make good soup, the key lies in making salty and sour tastes in a harmonious proportion. This policy is used as a metaphor of ruling a country. The dialectics in cooking can be found in many aspects like the selection of vegetables and meat, the size of sliced ingredients, the amount of water in the wok and the flame under the wok, the light or strong seasoning, the tender or crispy texture, and the temperature of dishes when they are served. All of these factors are critical. As a chef, he has to be able to blend the five flavours so as to maximize the effect of harmony. He has to make sure not to make a dish too sweet, too sour, too salty or too spicy. A soup should taste fresh and delicate, but not too weak; the meat has to be succulent, but not too greasy. 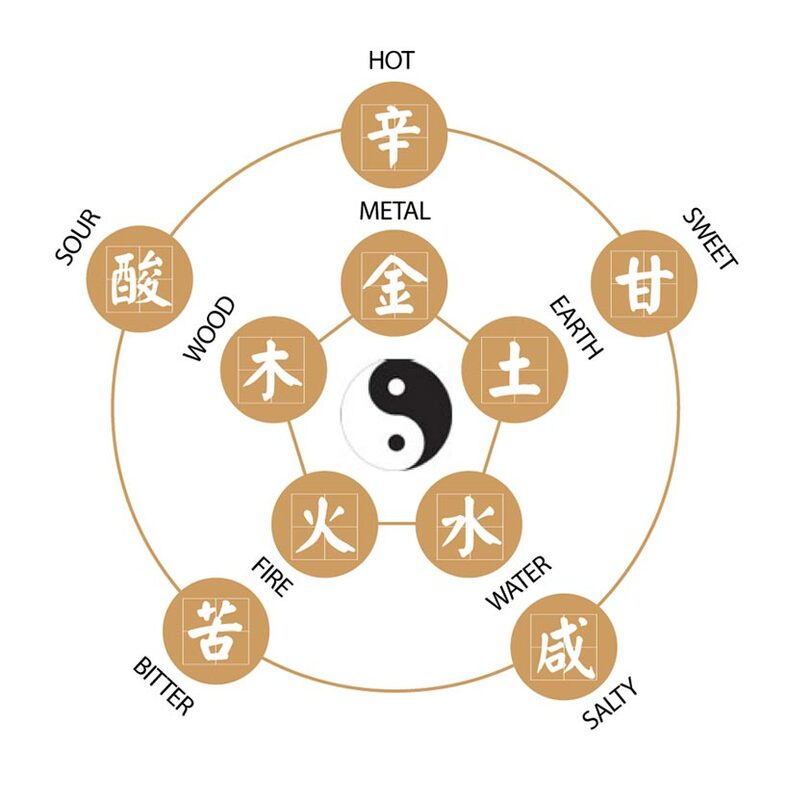 For example, when having hot pot, Chinese people like to use a two-flavoured Yuanyang pot, with an iron plate in between, framing the pot into a shape of Taiji diagram representing Yin and Yang. One side contains red soup, the other white soup. One side is hot and spicy and the other light, which best illustrates the meaning of the balance and harmony. The dialectics in cooking can be found in many aspects like the selection of vegetables and meat, the size of sliced ingredients, the amount of water in the wok and the flame under the wok, the light or strong seasoning, the tender or crispy texture, and the temperature of dishes when they are served. All of these factors are critical. The beauty of harmony is both the recipe of the Chinese kitchen and what Chinese people pursue in their lives, which is the best embodiment of the values in pursuit of harmony. Unlike Western values where importance is attached to individuality, Chinese people lay more emphasis on the harmonious relationship among people, seeking the overall balance and aesthetics. The Five Taste According to Chinese theory of five elements, the complementary properties of water, fire, wood, metal and earth are salty, bitter, sour, hot and sweet respectively. Aside from the good flavour and aroma, Chinese dishes are also admired for their beautiful appearance and colour. Skilful chefs can use a kitchen knife to carve dragons and phoenixes out of common vegetables such as tomatoes and cucumbers, making them into the works of art. These beautiful artworks allow you to feast your eyes before satiating your appetite. Aiming to soothe one’s spirit and seek inner peace, Chinese culture emphasizes on the state of mind and pursuit of aesthetic perfection. The poetic names of dishes together with their allusions are designed to arouse the curiosity of the diners before they start to eat. 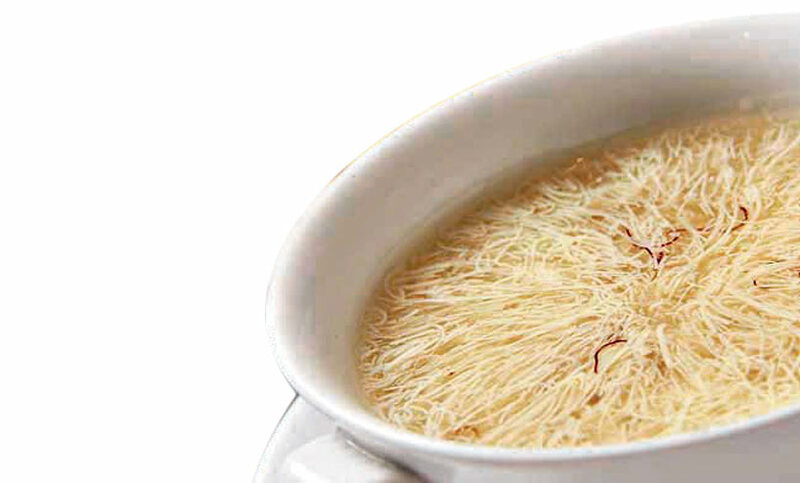 Take the common Chinese dish vermicelli with Chinese cabbage for example, with the name of “Lotus and White Jade Soup”, it adds to colour of the dullest lives. In the long history of Chinese food culture, the origins of many delicacies and legends are interwoven, which do not only give the food rich elements of culture, but also add a lot to the great fun. For example, the dish “Swimming Dragon Playing with Golden Coins” has originated from an eel soup ever tried by Emperor Qianlong of the Qing Dynasty when he disguised himself as a commoner and toured outside of the royal palace. The dish got its fancy name because of its connection with the emperor. Another example is a very famous dish called “Farewell My Concubine” in Xuzhou, Jiangsu Province, which is actually the soup of the soft-shelled turtle and chicken. 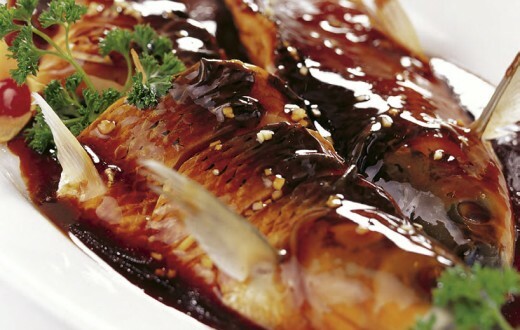 This dish was created based on a famous historical moment that is said to have occurred near Xuzhou. “The Great Emperor Xiang Yu” was wearing “armour” which in Chinese also means “soft-shelled turtle”, while the name of his concubine is pronounced /jī/ in Chinese pinyi, which has exactly the same pronunciation of chicken in Chinses pinyin. 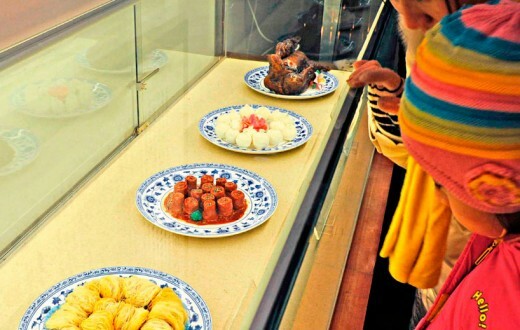 There are countless dishes created in the same way like “Crystal Cake”, “Dragon-Phoenix Combo (braised eel and chicken)”, “Carefree Chicken”, “Tiger Skin Tofu”, “Poris Cocos Pancake Sandwich”, “Wishful Vegetables (Stir-Fried Cabbage with Bean Sprouts)”, “Poetically Courteous Gingkoes” and so on. All the names of these dishes have their origins in history, which still fascinate people to this day and also encourage people to try the dishes. Aiming to soothe one’s spirit and seek inner peace, Chinese culture emphasizes on the state of mind and pursuit of aesthetic perfection. The poetic names of dishes together with their allusions are designed to arouse the curiosity of the diners before they start to eat. Going through Beijing’s Hutongs today, you will see high walls and large tiles. Looking up from the courtyards, you will see the clear sky with white doves flying past. This is the perfect place where you sit down and enjoy a bowl of Beijing Luzhu, a famous Beijing snack, experiencing the life of Beijing People. If you go to Chongqing, you will meet hospitable and straightforward people. Try their spicy hot pot and you will sweat all over. Then you may understand the locals’ fraternal loyalty. Gourmet food reflects the vicissitudes of life and can sometimes be reminiscent of other cultural gems such as Peking Opera. The spicy and delicious Sichuan cuisine with its blasts of heat rushing to the back skull, is like the role of Wudan in red (a female character type versed in shadowboxing, swordplay etc.) in Peking opera. Anhui cuisine, which highlights oil, colour and spicy heat, reminds people of the role of Hualian with brightly painted face wielding copper hammers. The piquant Hunan cuisine leaves you with the endless aftertaste of aromatic chillies, like the lively and lovely female role of Huadan. Wensi Tofu created by the monk Wensi of Yangzhou during the Qing Dynasty is impressive for the skilled knife work needed in its preparation. The dish gained popularity through time, becoming a unique dish in typical Huaiyang cuisine. When you come to China to experience her beauty, you don’t just engage your tongue and taste bud, but should also use your eyes and heart as well. To taste Chinese gourmet food is to understand her culture, or at least a footnote of her culture. By doing so, it is not difficult to understand the fact that although Chinese culture has gone through various ups and downs, it continues to grow and flourish because of its creativity and inclusiveness. When you first come to a country, food is your first intimate contact with the place, and will always be a record of your anxiety, your curiosity and your pleasant surprise. There will always be tastes that linger in your memories associated with a specific person, place or mood. Perhaps the best way to remember China is to travel around the country and taste the food of the nation.